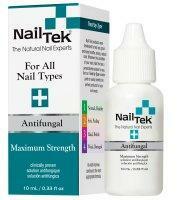 A safe, topical treatment clinically proven effective against fungus of the fingers and toes. This physician-approved compound kills fungus by inhibiting growth and reproduction of fungus cells at the site of infection. It is the most effective treatment available without a prescription. Keeps nails strong and protected. It is more than just maintenance - it is continuing therapy to help keep nails long and beautiful. Once you have long beautiful nails, Maintenance Plus will condition, protect, and improve them. For normal, healthy nails. Keeps nails strong and protected. It is more than just maintenance - it is continuing therapy to help keep nails long and beautiful. Once you have long beautiful nails, Maintenance Plus will condition, protect, and improve them. Helps heal weak, thin, soft, or peeling nails. This unique protein formulation seals the layers of nail together. With each application, Intensive Therapy reinforces and thickens nails while promoting strength and flexibility. 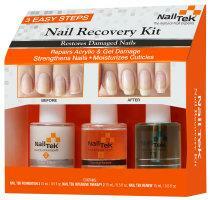 Restore the condition of soft, peeling nails. Bamboo extract provides silica to strengthen and improve the condition of nails for optimal nail growth. Biotin provides a protective shield, encouraging nail strength and growth. Repair soft, peeling nails. Smooth nail bed surface. Combined with a subtle hint of iridescence, dull nails are brightened and imperfections are disguised. High protein diet for nails. Improves the condition of weak, damaged nails by replenishing lost keratin caused by environmental factors or harsh removal of artificial nail enhancements. Provides extra conditioning for nails that are hard and brittle. This special formulation replenishes the natural moisture content of the nail. Applied daily, Protection Plus helps nails regain the healthy balance necessary to resist stress and enhance survivability. 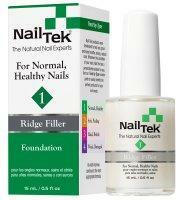 Fills unsightly ridges and nail damage while healing and strengthening the natural nail. This unique basecoat is a special blend of strengtheners, conditioners, micro-fibers, and natural fillers. Foundation smoothes uneven nail surfaces while helping to grow healthy, beautiful nails. Fills unsightly ridges and nail damage while strengthening the natural nail. This unique base coat is a special blend of strengtheners, conditioners, micro-fibers, and natural fillers. Foundation smoothes uneven nail surfaces while helping to grow healthy, beautiful nails. 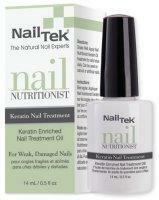 Nail Tek Xtra is a highly effective treatment designed for nails resistant to conventional therapies. This concentrated formula provides the extra strength necessary to correct severe nail weakness. Nail Tek Xtra is the answer for nails previously thought to be unsalvageable.